Below you will find Top 10 Kendriya Vidyalayas in India 2018, List of Top 10 Kendriya Vidyalaya Schools in India. Kendriya Vidyalaya, Malleswaram, Bangalore is a Co-ed English medium school managed by the Kendriya Vidyalaya Sangathan. Kendriya Vidyalaya, Keltron Nagar, is one of the prestigious educational institutions in the state of Kerala. Kendriya Vidyalaya No 1 Kochi, an institution par excellence imparting the right education ever since its inception in 1963. Kendriya Vidyalaya, Puranattukara is a Kendriya Vidyalaya Sangathan school in Thrissur City under the Ministry of Human Resource Development, Government of India. Kendriya Vidyalaya IIT was established in the year 1964 with the patronage and assistance of the IIT Management. 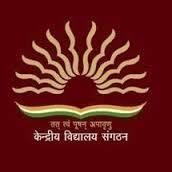 Kendriya Vidyalaya Kanpur began its academic flight as an institute of higher learning sector Vidyalaya in 1965. Kendriya Vidyalaya JNU was established in 1972 as a base for tertiary education.